Ok boys, we all know you hate shopping, but I promise that you will secretly love Gilt's new site for men. GiltMan just launched today and it offers a vast array of different mini-e boutiques in a guy friendly voice and site aesthetic. So there's no need to get up off your chair/couch/toilet to go shopping and it's competitive! Products and sizes go quickly so it's like one big e-tail shopping video game. 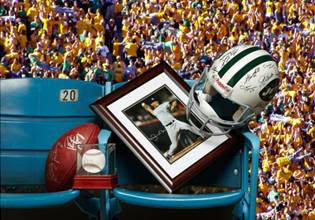 I joined the men's site for gifting purposes and am hoping to score some sports memorabilia for Christmas gifts. The sale on the products below starts today at 12pm!! Yet Another Reason to Drop Verizon..